The Gunners say they are monitoring talks between tube drivers and London Underground chiefs as strike action remains on the cards. ARSENAL’S GAME WITH Mick McCarthy’s Wolves on St Stephen’s Day is under threat. Drivers plan a 24-hour walkout the day on Monday. A statement on Arsenal’s website reads: “We would like to make all supporters aware of the situation surrounding our proposed home match against Wolves on Monday 26th December. 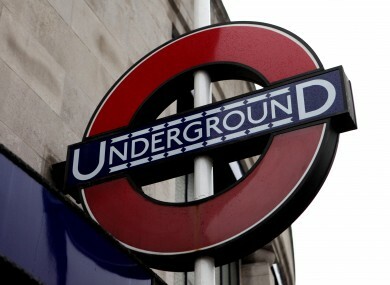 “The club is fully aware of the proposed industrial action on London Underground on Monday 26th December. “We are closely monitoring the situation, together with all the relevant agencies, including the Metropolitan Police, Transport for London, London Underground, the FA Premier League, Wolverhampton Wanderers FC and Islington Council. The game at the Emirates is a sell-out. Email “Mind the gap: Arsenal game in doubt because of planned Tube strike”. Feedback on “Mind the gap: Arsenal game in doubt because of planned Tube strike”.